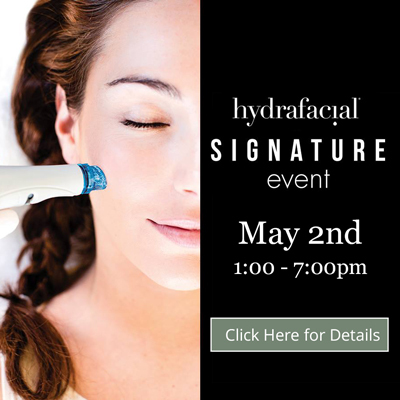 Light exfoliation, such as microdermabrasion, gives your skin a refreshed appearance. Serrão Rejuvenation Center is led by Dr. John Serrão, a board certified gynecologist who specializes in anti-aging medicine and who understands the importance of clear, healthy skin. His team of facial rejuvenation specialists provide microdermabrasion treatments to women in Orlando, Winter Park and the surrounding areas of Florida. Microdermabrasion is a cosmetic treatment that removes dead skin cells, dirt and oils from the surface of your skin. The procedure is typically performed with a hand piece that blasts the skin with tiny sandy crystals, but SilkPeel™ Dermal Infusion is not your typical microdermabrasion because it exfoliates the skin with a diamond tip all while infusing medical grade nutrients into the skin. This treatment is a practice favorite and is a great monthly treatment that keeps your skin healthy and clean. At Serrão Rejuvenation Center, we offer the most advanced cosmetic solutions available, and this includes our microdermabrasion treatments with SilkPeel™ Dermal Infusion. Why simply exfoliate when you can also deep clean pores and infuse the skin with nutrients targeted and customized to your unique needs? Dr. Serrão is proud to offer his patients the SilkPeel™ Dermal Infusion treatment that combines exfoliation, extraction, and dermal infusion. Traditional microdermabrasion is a “dry” treatment, meaning that it relies only on a dry crystal dust. In comparison, SilkPeel™ Dermal Infusion is a wet form of the treatment that is gentler on the skin and more effective in improving skin health. SilkPeel™ is also fantastic as a pre- or post-operative procedure to improve results of IPL, laser, or other cosmetic and medical procedures. Dr. Serrão recommends the most conservative solutions to his patients, and this often means treatments that accomplish several goals at once. This not only saves you time and money, but it also maximizes the benefits of each procedure. Because we consistently use this approach, our patients love sharing their experiences with friends and family who soon become new patients at our practice. Dr. Serrão is often the first to introduce new treatments to women in Central Florida, and the SilkPeel™ Dermal Infusion treatment is just one of his many advancements in cosmetic services. His experience with the treatment is why our patients achieve superior results. Take your microdermabrasion procedures to the next level with our SilkPeel™ Dermal Infusion treatments. At Serrão Rejuvenation Center, led by Dr. John Serrão, a board certified gynecologist who specializes in anti-aging medicine, our experienced medical aestheticians offer microdermabrasion for women in Orlando, Winter Park and the surrounding areas of Florida. To learn more, contact us to schedule a consultation and begin your rejuvenation today. Light exfoliation, such as microdermabrasion, gives your skin a refreshed appearance. Serrão Rejuvenation Center is led by Dr. John Serrão, a board certified gynecologist who specializes in anti-aging medicine and who understands the importance of clear, healthy skin. His team of facial rejuvenation specialists provide microdermabrasion treatments to men and women in Orlando, Winter Park and the surrounding areas of Florida. Microdermabrasion is a cosmetic treatment that removes dead skin cells, dirt, and oils from the surface of your skin. The procedure is typically performed with a handpiece that blasts the skin with tiny crystals. Microdermabrasion is a great monthly treatment that keeps your skin healthy and clean. At Serrão Rejuvenation Center, we offer the most advanced cosmetic solutions available, and this includes our microdermabrasion treatments. Why simply exfoliate when you can also deep clean pores and infuse the skin with nutrients? Dr. Serrão is proud to offer his patients the SilkPeel™ Dermal Infusion treatment that combines exfoliation, extraction, and infusion. Traditional microdermabrasion is a “dry” treatment, meaning that it relies only on a dry crystal dust. In comparison, SilkPeel™ Dermal Infusion is a wet form of the treatment that is gentler on the skin and more effective in improving skin health. SilkPeel™ – is also fantastic as a pre- or post-operative procedure to improve results of IPL, laser, or other cosmetic and medical procedures. 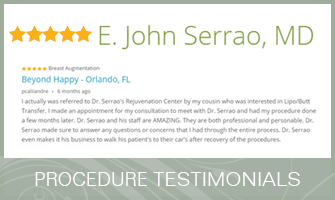 Dr. Serrão is often the first to introduce new treatments to men and women in Central Florida, and the SilkPeel™ Dermal Infusion treatment is just one of his many advancements in cosmetic services. His experience with the treatment is why our patients achieve superior results. Take your microdermabrasion procedures to the next level with our SilkPeel™ Dermal Infusion treatments. At Serrão Rejuvenation Center, led by Dr. John Serrão, a board certified gynecologist who specializes in anti-aging medicine, our team of MedSpa providers offer microdermabrasion for men and women in Orlando, Winter Park and the surrounding areas of Florida. To learn more, contact us to schedule a consultation and begin your rejuvenation today. Microdermabrasion is an exfoliation treatment that cleans the surface of the skin. It removes dead skin cells, oils and dirt that may be left behind by your daily skin care routine. The treatment involves using a handpiece that blasts the skin with small crystals and vacuums away the crystal dust and dead skin cells. How is SilkPeel Dermal Infusion Unique? Our SilkPeel Dermal Infusion treatment also exfoliates the skin, but it also adds steps that cleans the pores more deeply than microdermabrasion and hydrates the skin. Traditional microdermabrasion is not designed to improve skin health on this level. What Happens During Microdermabrasion Treatments? A combination of small crystals and serums is infused into the skin using a special handpiece. Unlike traditional microdermabrasion, the SilkPeel handpiece is pressed gently against the skin. This ensures that the serums penetrate the layers of skin. How Long is the Recovery from Microdermabrasion? You can learn more about the cost and other details of our microdermabrasion treatments by scheduling a consultation with Dr. Serrão. Prior to your appointment, you may want to review our financing page so that you can have a budget in mind when you meet with him.